Many patients think missing teeth, worn out teeth, or unsightly decay that renders a tooth beyond repair are changes they must simply live with. At Beverly Hills Periodontics and Dental Implant Center, we frequently encounter stories of embarrassment, and patients who have planned their days around disguising their dental problems, or cancelled social events because it was necessary to avoid problematic foods or situations. Losing your smile should, we feel, never be considered a natural part of aging. 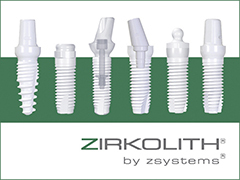 Dental implants in Los Angeles and elsewhere have made these conditions a thing of the past for millions of patients. Beverly Hills Periodontics and Dental Implant Center offers these procedures with cutting edge patient care that also empowers patients to make decisions about their own dental implants in Los Angeles and surrounding cities. While perhaps as late as 20 years ago, it seemed that patients would have to live with unsightly bridges, or simply deal with damaged or decayed teeth if they didn’t want to wear dentures during their waking hours. However, an ever-growing percentage of patients are finding that these clumsy and unsightly solutions are becoming obsolete in light of the availability of dental implants in North Hollywood and elsewhere. For an entire row of teeth, patients are often willing to tolerate a set of dentures, even with today’s technology (although this is unnecessary with dental implants in Los Angeles), but rare is the patient who wishes to wear dentures or a bridge at all times simply to replace one or two teeth. Not only are modern dental implants in Hollywood and elsewhere more convenient and comfortable, but they also interfere less with the surrounding teeth, making them an alternative that actually help you keep your good teeth! With the advent of guided implant surgery through the use of 3D CT imaging, multiple implants to restore the entire jaw can be placed with ease and comfort in under two hours. Dr. Soleymani is one of the foremost Los Angeles practitioners of non-invasive, low-discomfort dental implants in Encino and elsewhere, but he’s also a practitioner of immediate dental implants for a growing portion of his patients. Time being the most valuable resource for most of our patients, we know how much you’d like to wrap this up quickly, which is why we offer many patients unique one-hour dental implants. In addition to having dental implants placed in one hour, our patients at Beverly Hills Periodontics can also have a temporary cap that mimics their natural teeth. These caps are advantageous because the patient doesn’t have to wear something removable and they preserve oral structures from the very beginning. Call for an appointment at (310) 275-4606 or get in touch with us via our contact page.